Pushing players outside of their comfort zones using their edges and skating with power and confidence. The focus is on stride mechanics, quick acceleration, top speed agility, and stability through turns & pivots, all while controlling a puck. Want to score more goals? Everyone does! This clinic will teach you how to get more power, accuracy, and deception with your shot! We will break down the mechanics of the shot, and eliminate conventional wisdom of how to shoot, so players can build proper habits. Skaters will learn how to shoot in stride and hide their shot release to catch the goalie by surprise. Wrist shot, backhand, slapshot, tipping, and anything else to put the puck in the net. 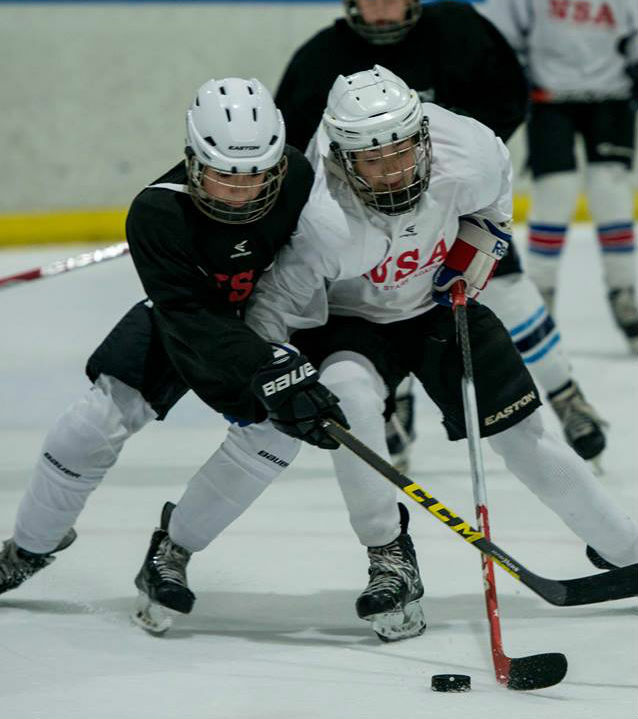 This will prepare you to make a safe and confident transition into Bantams or above where body contact is allowed. Bodychecking is not about smashing an opponent into the boards. When learned properly, it is an effective, strategic ice hockey skill for getting puck possession for your team. In this clinic, you learn how to take and receive a body check without injuring yourself or your opponent, how and when to deliver a check from the athletic stance, weight transfer and the danger zones on the ice. This clinic is a must if you want to go into your season as an effective and confident player.